Our real estate office is located in Reduit Orchard, Rodney Bay, Gros Islet,in the tropical Caribbean island of St. Lucia. We are family oriented and operate a professional St Lucia Real Estate business offering uncompromising standards of integrity and personal service. We bring the buyers and sellers together in a setting where business ultimately bonds with friendship. In 1994, Mr. Beniah Dorh founded "Bentek Realty Inc." a name in the real estate industry that represents professionalism, commitment and integrity. Although small by comparison, our St Lucia Real Estate agency is formidable and is currently exploring the possibilities of becoming the top provider of quality St Lucia Real Estate Properties. We believe that the most important purchase of your lifetime deserves the personal service that Bentek Realty Inc. of St. Lucia offers. 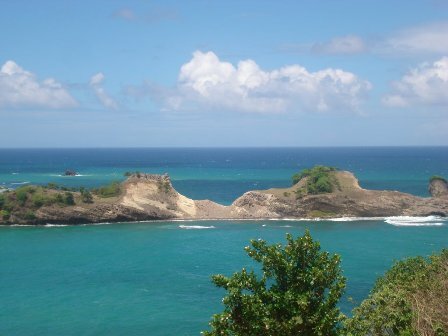 A St Lucia real estate company with an owner / broker whose reputation is excellent and unmatched for product knowledge, ethical standards and professionalism. We are committed, responsible and we deliver. Whether you are interested in buying a st lucia property, selling a home, landor simply seeking vacation and retirement living opportunities, we have a range of st lucia properties and information to help you decide on this substantial investment. We leave no stones unturned in our pursuit of execellence.